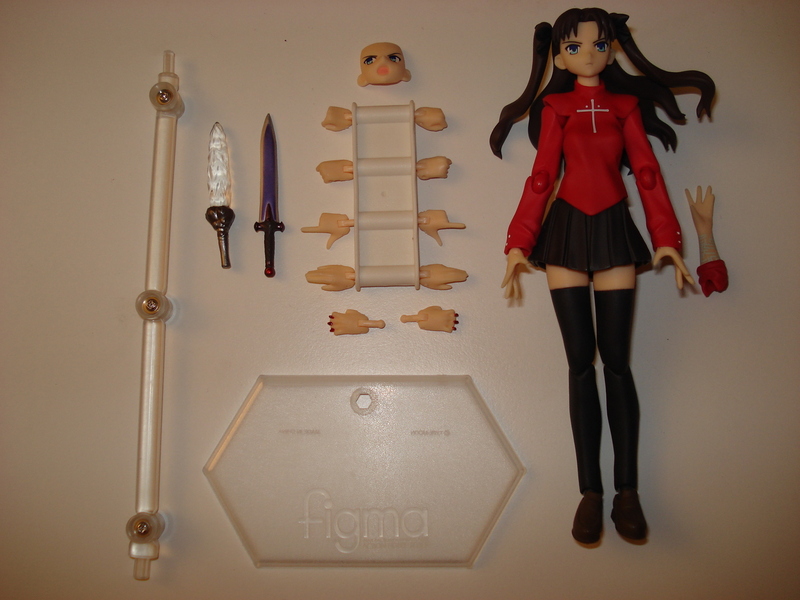 Tohsaka comes with the usual gamut of figma accessories. I’m starting to wonder if I should bother even mentioning the stand and the bag, and sometimes even the set of hands since they tend to be the same for every set with few exceptions. She also does come with the standard extra face with has her looking to her right with her mouth open. She also comes with a set of hands gripping her magical gems between her fingers, as well as an extra forearm that looks to have trace marks on it. Lastly, she has 2 weapons. The dagger Shirou used against Kotomine during that arc, and another dagger with what seems to be a clear blade that I don’t recognize. 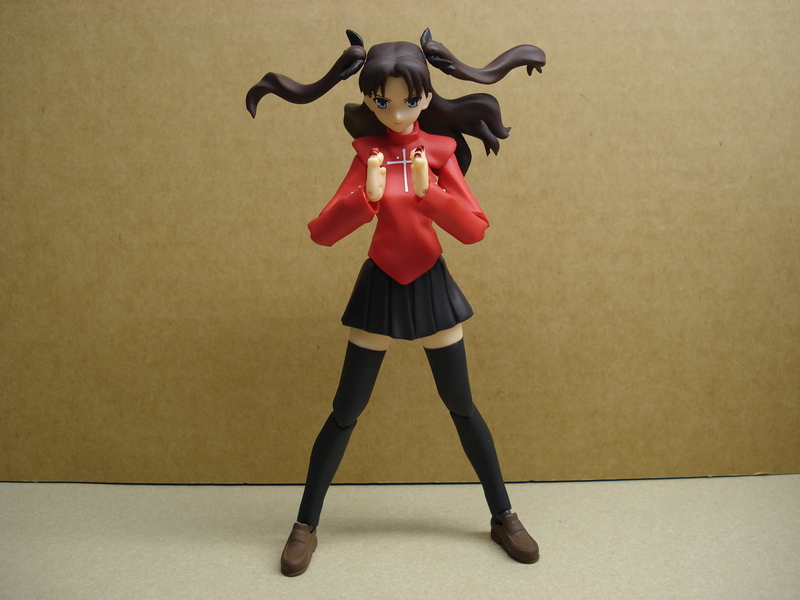 Tohsaka’s twintails are attached to her head with the usual ball joints. Attach the forearm as shown. A small slip of paper shows you which direction to position the sleeve part. 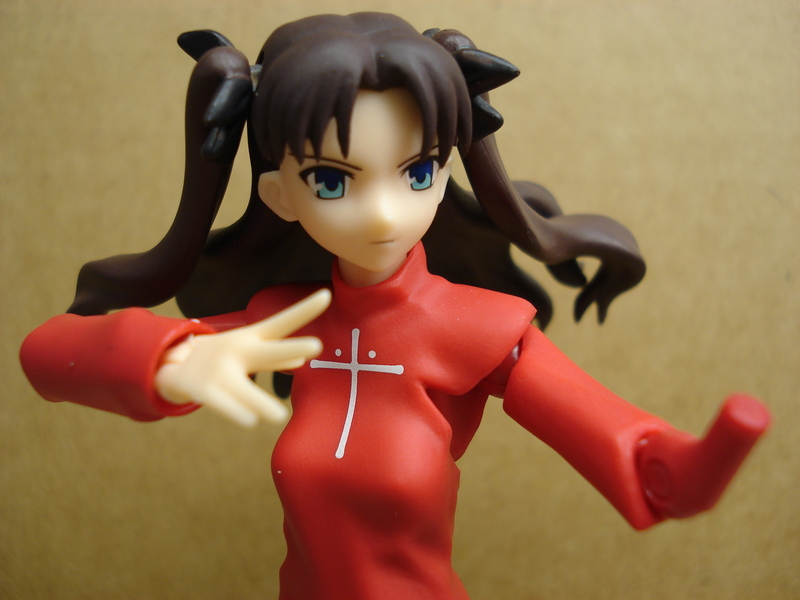 Cons: The only fault I see with this figma is that the alternate face only allows you to face Tohsaka towards the right. In order to pose her facing left, you’d have to use the normal face, and sometimes it just doesn’t look right. 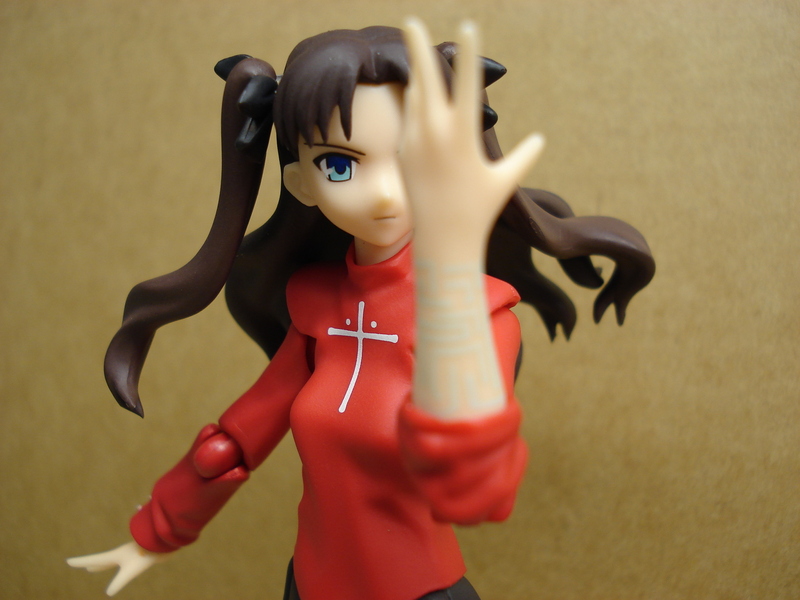 All in all Tohsaka is a great purchase. 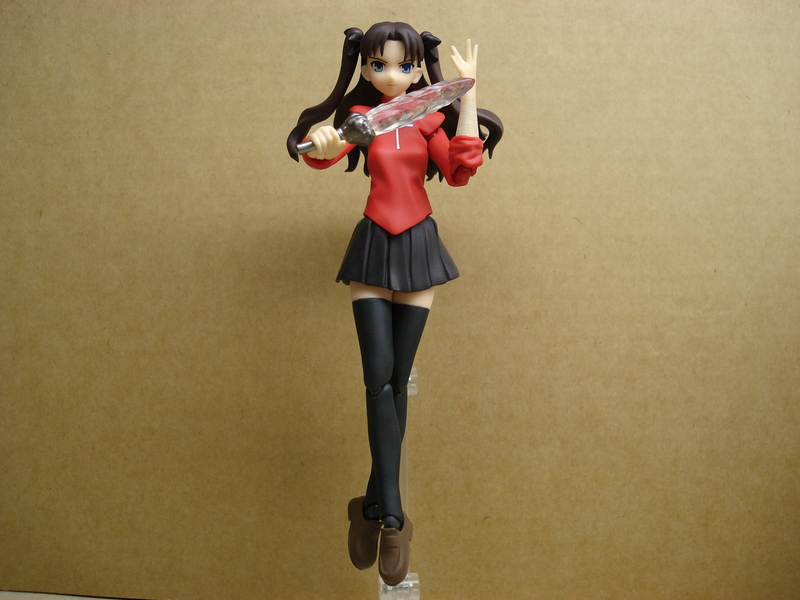 She obviously goes great with the Saber figma. 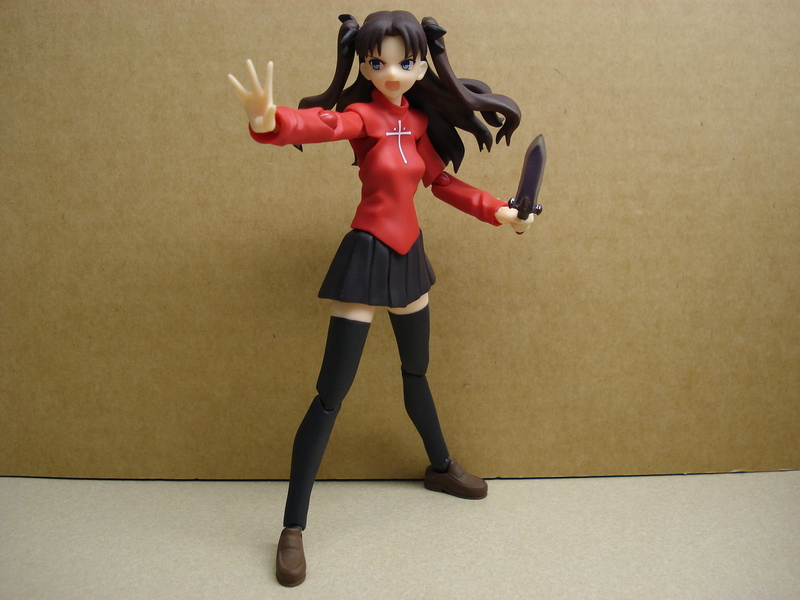 As with the Saber review, I’ll be posting a comparison of the Fraülein Revoltech Rin, but that’ll probably have to be for tomorrow. Tohsaka will probably run you around $25-30 bones, and I would rate this as a must get if you love the series, and recommend it to anyone who hasn’t seen it or played the game. 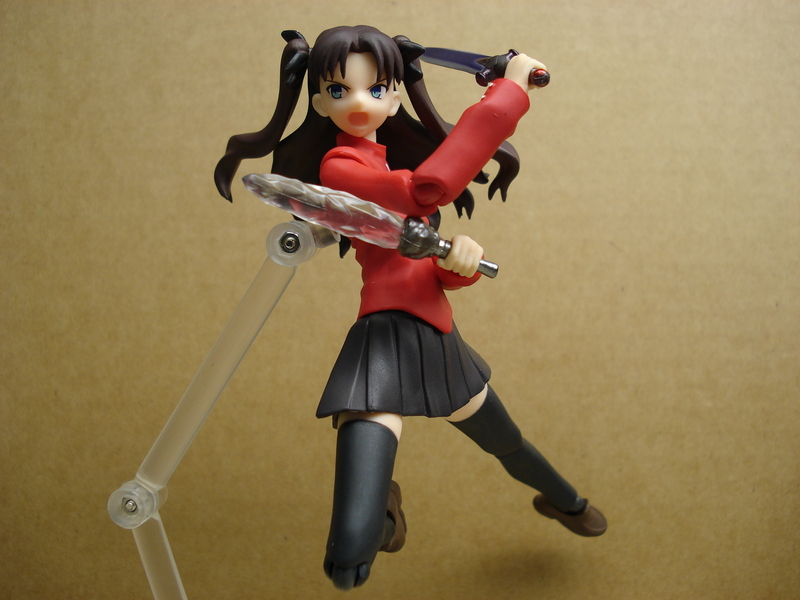 I’m thinking about getting this figma to go with my Saber. Love the proctology arm.